You are probably familiar with coconut oil. It has been redeemed after being demonized for years as a result of its high saturated fat content. Now that research has shown that the saturated fats in coconut are actually good for you, coconut oil has become more and more popular. As coconut oil has become more popular, so has coconut butter. You might have seen it labeled coconut manna, too. 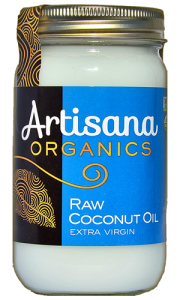 Coconut oil is oil extracted from coconut meat, much like peanut oil is extracted from peanuts. 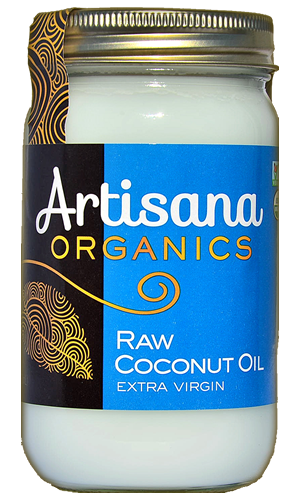 Because coconut oil is a saturated fat, it’s solid at room temperature. If you warm it up so it becomes liquid, it will be clear, like other oils. 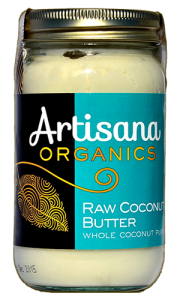 Coconut butter is coconut meat ground into a paste, much like peanut butter, which is whole peanuts ground into a paste. Coconut butter is thicker, more “coconutty” in flavor, and You can’t see through it, even after you melt it. 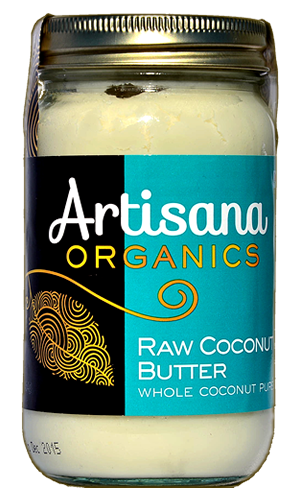 Can I substitute coconut butter for coconut oil? Coconut oil and coconut butter are very different. There are times when you may be able to substitute one for the other, but other times when it won’t work. Use the peanut butter rule. Assume your recipe calls for peanut oil. Would you use peanut butter instead? Sometimes it will work (in soups, for example), and at other times, you’ll know that it just won’t. These yummy coconut butter cookies, for example, call for 2/3 cup unsweetened coconut butter. Substitute coconut oil for the butter, and you’ll ruin the recipe. This coconut curry soup is a bit more forgiving. Substitute coconut oil for the red palm oil, or omit the red palm oil and the coconut butter, and use a smaller amount of coconut oil instead. If you love coconut as much as I do, you can eat the coconut butter with a spoon! (You can do it with the oil too, but the coconut butter tastes better, is lower in fat calories, and provides you with 3 grams of fiber for every tablespoon, too.